Many are the varieties of melon and watermelon spread throughout the world, but in Africa there is a very special and noteworthy one. It is about melon tsamma also said Citrullus lanatus or wild watermelon, native of the Kalahari desert, in southern Africa. This fruit, halfway between a melon and a watermelon, is known above all for the high quantity of water contained and for being a precious source of water in the arid and desert areas of the African continent. This wild fruit, which grows spontaneously in most of western, central and southern Africa, externally resembles a small watermelon, but the light pulp, yellow or light green with black seeds, resembles a cross between a melon and a pumpkin. The tsamma can sometimes turn out vaguely sweet, but it is mostly tasteless. It is also good to know that if the taste should be bitter it should be immediately discarded as it could be poisonous. The melon has a diameter of about 10-20 centimeters and weighs just over a kilo, but when cultivated it can reach larger dimensions. The tsamma is not particularly interesting from a nutritional point of view; it is composed of 90% water, 7% of sugar and also has low concentrations of minerals and vitamins (B and C). THE seeds they are instead an excellent source of protein, vitamins, minerals and fiber. Traditional use in the kitchen requires the pulp to be consumed fresh or cooked, boiled or steamed, the leaves boiled while the seeds are commonly toasted and can be eaten as snacks or added to porridge or vegetable stews. One last curiosity: the seeds contain within them an edible oil that can be used as a condiment or as a body oil. As we have seen, this type of melon is characterized above all byhigh water content. This, together with the nourishing seeds, makes the tsamma an essential food resource in arid and desert African areas, both for humans and for the animals that feed on them. For the San tribe of Southern African hunter-gatherers, the hunting season would be impossible without the hydration provided by the melon. Similarly in the Kalahari desert area, a term that can be translated as "great thirst" or "waterless place", the inhabitants owe their survival even to the tsamma melon. There is a belief that a person can survive for six weeks by feeding only on this fruit. David Livingstone, the famous nineteenth-century missionary and explorer, reported in his writings that he had encountered tribes in the arid interior regions of southern Africa along the Zambezi River, and that they managed to stay alive in the desert for several months a year, when water was scarce, thanks to this special wild melon. In the event of hunger or a sudden craving for something good, we all have the basics needed to cook at least one pasta dish at home. And if instead our wish was that of a good cocktail, to sip as an aperitif, or as a special after dinner with music in the background? We probably wouldn't be as ready, and we would risk it combine some mess also struggling with a very simple Spritz. Or a more than basic Gin Tonic. «This is because for many of us the drink is still tied exclusively to the world of bars, pubs and discos. And therefore the attention to the simplest passages also fails. But learning, little by little, is absolutely possible, in fact I would say funny . Who speaks, from the back of the elegant counter of the The Spirit of Milan, is the bartender Carlo Simbula, who, armed with a shaker and lots and lots of patience, decided to help us start our domestic journey into the world of cocktails on the right foot. Starting from these 5 basic tips. As in the kitchen, when we prepare a roast or a savory pie with mushrooms, even when we are struggling with a drink, we must pay close attention to the ingredients we use. Starting from a quality distillate, be it vodka or rum, is absolutely essential. But be careful not to underestimate the non-alcoholic components of the recipe: a good tonic water, a good ginger beer and even a fresh mint leaf can radically change the final result of our creation. Most of the cocktails we can prepare at home include a generous presence of ice in the glass. Which inevitably goes to melt little by little inside the drink, while we sip it. So it's better not to skimp on the quality of this ingredient: let's prepare it with natural water, maybe boiled first in the pot to remove the coarser impurities. Of course, obtaining a clear and transparent ice like that of the best bars without professional equipment can be very complicated, but obtaining a few well-made cubes at home is also possible. Like any self-respecting art, mixology also requires its dedicated tools. 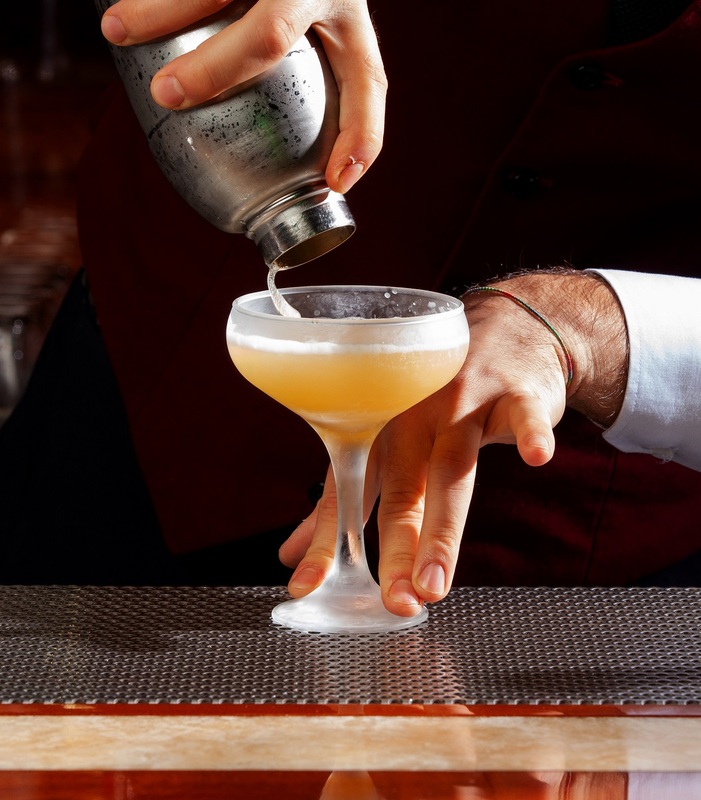 To start with, in particular, we recommend two: the shaker, or the sort of reclosable container that allows you to mix with energy – or shake, precisely – the various ingredients before pouring them into the glass; and the jigger, the special measuring cup that allows to keep under control the quantities of alcohol and tonic in addition. Because going to the eye, as they say, can, but it is better to wait until you have accumulated some experience. Sifting through the recipes of the various drinks it is sometimes possible to find a direct reference to the glass to be used for the presentation. This is because – as also happens with wines – shapes, depths and amplitude can enhance or diminish the aromatic and gustatory characteristics of what we are about to sip. In general, however, the advice remains that of not mortifying what we have prepared: no categorical to plastic cups, therefore, and a great yes to a beautiful and functional glass. Just as it is not possible to think of starting your own experience in the kitchen with a Saint Honoré, similarly for cocktails it is better to start with some simple recipe. At least for the first time, therefore, let's forget about drinks based on siphoned or acidic powder ingredients to add to the preparation. 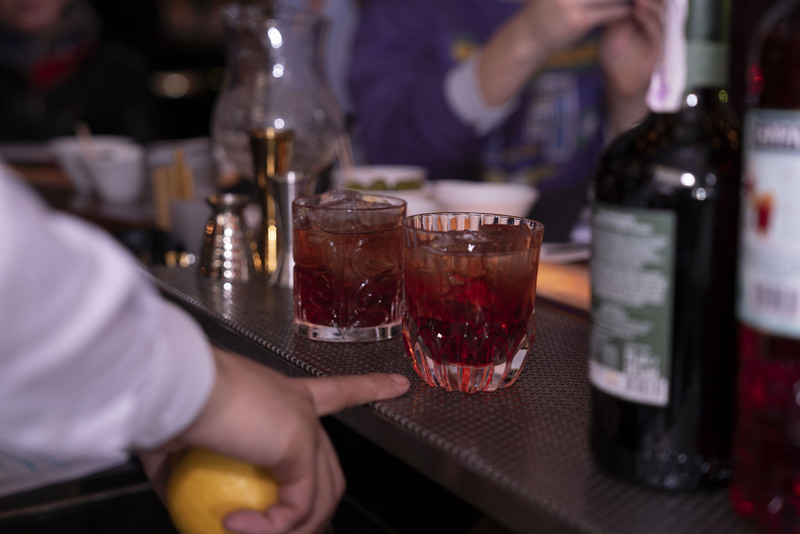 Let's focus instead on the various Negroni, Americano and so on: little by little the necessary experience will accumulate to move to more elaborate alternatives. And, why not, to even begin to create something original, launching your creativity with shaker strokes. of peanut for about 2 minutes. Serve the spinach flan with the chips and the horseradish sauce.